This will be your personal business email address. You can complete this securely online. 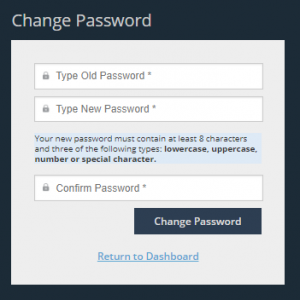 Enter your existing and new passwords, and confirm your new password by clicking ‘Change Password’. It is not possible to change your username online. Note: If you are replacing a current user, you must adhere to the terms of the ICIS contract. How can I add new products to my subscription? To see all our products and services, click here. You will need to discuss this and any access outside your entitlement package with your account manager. It is possible that you may have a co-ordinator for ICIS services to discuss this internally. How do I activate my licence key? If you are a new user, you first need to register your details here. If you had a trial, have an existing account or need to add another service, only the licence key needs to be activated. Click here to activate the licence key. How do I update my subscription with a new license key? If you have recently renewed your subscription or added an additional commodity or service, you will need to activate a new license key here. Where can I find help with my credit subscription? If you are a credit subscriber, click here for help and support. How can I enable cookies on my browser? If you are logging in on a desktop, please click the link below which matches your browser. For Internet Explore & Edge, click here. If the instructions do not successfully enable cookies on your browser, or if you are using the platform on your mobile or in China, please contact our Client Services team here. 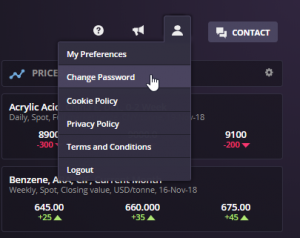 Why do I need cookies to be enabled in order to log in? When you log into the ICIS platform, we need to store some information to be able to authenticate you while you’re logged in and navigating around the site. This is achieved through cookies and means that when you visit different pages within the ICIS platform we will not ask you to log in again.